Here’s something new on my blog, so far I have not written about online shop OMGfashion. This is a popular online store that offers a wide selection of clothes. They are having a huge, huge selection of dresses in different styles, materials, for different seasons and different occasions. Also you can find a blouses and shirts of various models and designs, sweatshirts in a variety of colors and models, trousers, jeans, skirts and shorts. If you want to be trendy without spending a lot of money then OMGfashion online store is тhе right place for you. 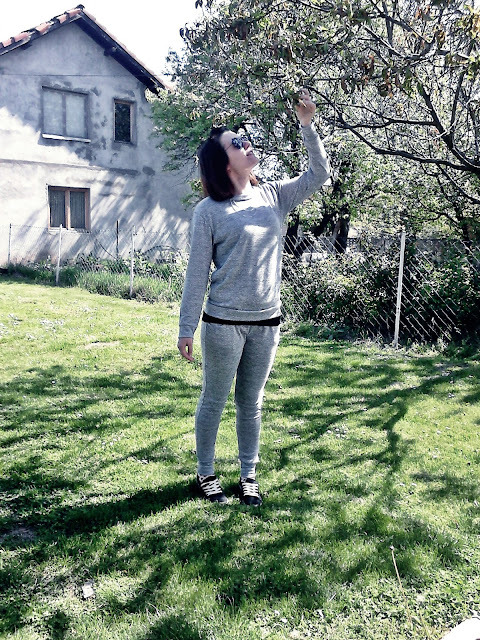 In the pictures you can see that I’m wearing gray tracksuit, ideal for spring days but also for those warmer days, because they are made of a very pleasant and light material.